Janiah McKay made Jumper. Assisted by Erica Sanders. Emari Jones made Three Point Jumper. Assisted by Janiah McKay. Tiffany Lewis missed Three Point Jumper. Jazmine Jones made Layup. Assisted by Erica Sanders. Katie Frerking missed Three Point Jumper. Brandy Montgomery missed Three Point Jumper. Emari Jones missed Three Point Jumper. Erica Sanders made Layup. Assisted by Janiah McKay. Khady Dieng made Layup. Assisted by Jazmine Jones. Katie Frerking made Three Point Jumper. Assisted by Erica Sanders. Janiah McKay made Layup. Assisted by Erica Sanders. Janiah McKay made Layup. Assisted by Jazmine Jones. Jennifer Mathurin missed Three Point Jumper. Ashley Williams missed Three Point Jumper. Dominique Wilson missed Three Point Jumper. Jennifer Mathurin made Three Point Jumper. Assisted by Miah Spencer. Aislinn Konig missed Three Point Jumper. Dominique Wilson made Three Point Jumper. Miah Spencer made Three Point Jumper. Assisted by Aislinn Konig. Dominique Wilson made Three Point Jumper. Assisted by Kaila Ealey. Chelsea Nelson made Jumper. Assisted by Miah Spencer. Chelsea Nelson made Jumper. Assisted by Jennifer Mathurin. 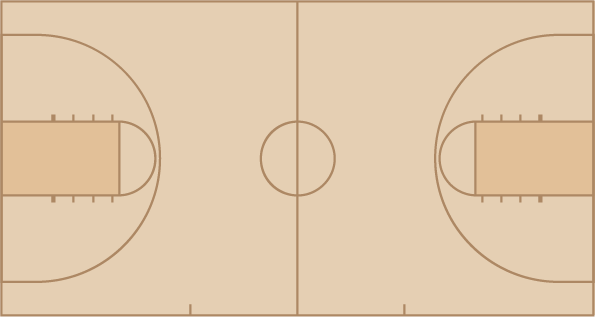 Dominique Wilson made Three Point Jumper. Assisted by Miah Spencer. Miah Spencer made Three Point Jumper. Assisted by Chelsea Nelson. Ashley Williams made Three Point Jumper. Assisted by Dominique Wilson. Lucky Rudd missed Three Point Jumper. Dominique Wilson made Layup. Assisted by Kaila Ealey.